Dell launched the 2015 version of their XPS 13 at CES in January, and it made a big impression because of something that was very small. The first thing you see when you look at the XPS 13 is how small the bezels are around the display. At 5.2 mm, they are easily the thinnest display bezels on any laptop made today. Dell claims the XPS 13 is a 13 inch display in the chassis of an 11 inch notebook, and while they have made that claim before, for 2015, it would be hard to argue with them. 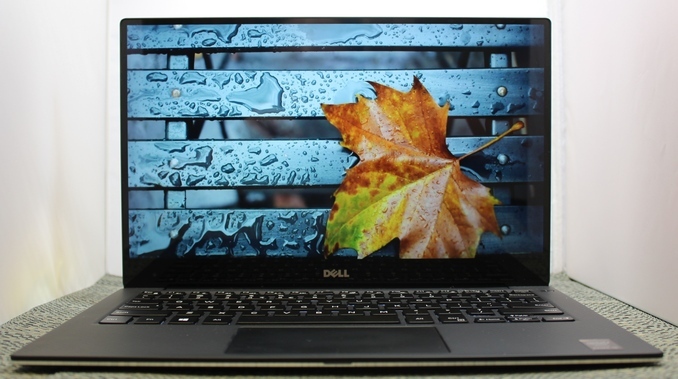 But the XPS 13 is more than just a display, and Dell has outfitted it with some very modern hardware to give us our first look at an Ultrabook based on the just launched Intel 5th Generation processors, Broadwell-U. At CES, Dell also told me that the new XPS 13 would have great battery life, with the company claiming that it would get up to fifteen hours. That claim seems hard to believe, with our battery life test topped at just a hair under ten hours by the current leader, the MacBook Air 13. However, this will be our first look at a laptop running on the new 14 nm process from Intel, so we can get a chance to see just how power efficient the new processors are. Dell is offering quite an arrangement of options as well, allowing the new XPS 13 to fit into a lot more budgets than some of the other premium notebooks around. The base model comes with the Intel Core i3-5010U processor, but if you need more speed you can upgrade to the i5-5200U or i7-5500U. All of the storage options are solid state drives, which is great to see. The base is 128GB, and optional upgrades are to 256GB or 512GB. Memory choices are dual-channel 4GB DDR3L-RS-1600, or a dual-channel 8GB option. We received two models for testing, with the first being a Core i5-5200U with the 1920x1080 non-touch display, 4GB of memory, and a 128GB SSD, which lists for $900. The second model is the Core i5-5200U, with 2x4GB of memory, a 256GB SSD, and the 3200x1800 touch display. This model lists at $1400. Update: Originally I had listed the 4 GB model as single channel, but it is actually 2 x 2 GB for dual channel. Sorry for the mistake. The display has some choices as well. The base model comes with a 13.3 inch 1920x1080 IPS display, with a matte finish, and no touch capabilities. This is still a respectable 165 pixels per inch, and is a good option to keep the costs down. The upgraded display is quite the upgrade. Dell has worked with Sharp to outfit the XPS 13 with an optional 3200x1800 resolution IGZO panel, which features Corning Gorilla Glass NBT over the top, along with ten-point multitouch. This works out to 272 pixels per inch, and the IGZO panel is a full RGB stripe. There are a couple of other options as well, such as a range of wireless adapters, with the Dell 1560 outfitted on the review laptops that we received. This is a Broadcom wireless adapter, with 802.11ac support. Some of the options, like the 512GB drive, are only available with the top CPU and upgraded display. Dell does offer some degree of flexibility when ordering, but not all options are available for all devices. Dell has crafted a fine looking laptop, with some new parts from Intel and Sharp paving the way. On paper this is a great start, so let's get into the finer details. This must deserve an Editor's Choice award? But the fact that these are brought up as shortcomings just tell us how great this laptop is. I mean, no one's complaining that the $1000 Macbook Air sports an archaic non-touch non-matte low-res TN panel. "The FHD model (1920x1080) arrived with a single 4GB memory module and the QHD+ version came with 2x4GB, which gives us the chance to check the performance differences between the single-channel memory and dual-channel memory." You are right and I'm not in ANY way implying there was an bias on Anandtech's part. It's a tough call. Publish the battery life to get the results out there quickly for readers with the caveat of not being able to disable auto brightness or just write "the battery life results look to be very impressive but we are not going to publish them until we can disable auto brightness." I'm just saying I would have gone with the 2nd option for two reasons. First, if with auto brightness off the results are dramatically lower than Dell pulled one over. And second, to send a message to manufacturers that if they don't allow fair comparisons due to locked software not all testing results will be published.